One need only look at today’s satellite image of Brazil’s Amazon Rainforest to notice something’s terribly wrong. A vast 1,000 mile swath of what should be some of the wettest lands on the globe running south of the world’s largest river is covered by a dense pall of smoke. 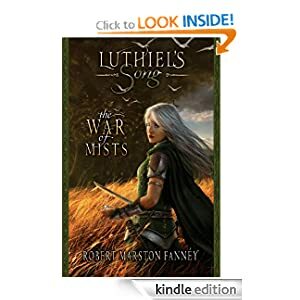 Scores of plumes boil up out of the burning and sweltering forest. Pumping dark clouds into the sky, the fires’ tell-tale streaks out over a drought-parched Brazil, across the Atlantic, and over to Africa where the plume is again thickened by yet more wildfires. The greatest rainforest in the world, sometimes called Earth’s lungs, is burning, blackening, and belching out a thick pulse of carbon dioxide into an atmosphere that is already greatly over-burdened with industry-emitted greenhouse gasses. The world’s largest watershed and remaining largest rainforest combined now finds itself in a crisis of human making. A set of insults that may not now be reversible as the forest begins to succumb to both drought and fire. It’s a crisis that threatens to turn South Brazil into a desert, to turn one of the world’s vast carbon stores into a carbon emissions source, and to eventually convert the great rainforest itself into dry grasslands. Such a transition would result in yet one more major contributor to increasing global greenhouse gas concentrations even as it puts Brazil’s mega-cities under threat of collapse. And it’s a transition that’s happening now. A violent transformation that likely started during the early 2000s. One now reaching catastrophic new intensities. The causes for the fires are three-fold and all too often missed in the sparse mainstream media reports of the ongoing catastrophe. First, human-caused warming of the globe is pushing the great rainforest to slowly heat up and dry out. Alone, such warming would be enough to take down the great rainforest if the Earth warmed by between 2 and 4 degrees Centigrade. Since we’ve already seen Earth System warming on the order of 1 degree Celsius above 1880s values, the great forest is now feeling the stress of this added heat. But the forest is now also suffering the insults of what amounts to a half century of slash and burn agriculture. Immense swaths of the forest have been cut and burned away, converted into farmlands. Increasingly, large sections of the forest are isolated into smaller, less productive islands. In addition, the ongoing burning of vast tracts of woodland adds a fire pressure to an already heat-stressed rainforest. Finally, this year, Brazil is experiencing the effects of what is likely to become the strongest El Nino ever recorded. Such Pacific Ocean warming events have a tendency to push the rainforest to dry. And with the great Amazon already suffering from at least a decade of drought, the new, extremely intense El Nino is providing yet one more severe insult on top of all the other damage inflicted by both human warming of the atmosphere and by slash and burn agriculture. As the Amazon rainforest suffers clear cutting, wildfire, and drought, it pumps less and less water into the atmosphere. Its once massive ‘flying rivers’ are drying out. The loss of these immense atmospheric moisture flows has a particularly acute impact on lands bordering the Amazon — especially in the region of Brazil’s coastal cities. Over the past two decades, the massive cities of Sao Paulo and Rio de Janeiro have suffered from increasingly frequent droughts. However, over the past three years, drought has been particularly extreme. In Sao Paulo, unofficial water rationing began about two years ago and has remained in effect ever since. Today, the region’s largest reservoir — the Cantariera — remains below dead pool levels even as other reservoirs have fallen under increasing stress. The result is that many of the area’s 20 million people are starting to migrate to cities with better water security. Cities like Jundiai where water conservation policies have prevented shortages despite an ongoing drying of the surrounding countryside. In Rio de Janeiro, the situation is still somewhat better than in Sao Paulo. Water cut-offs have not yet begun in this city of 10 million even though local reservoirs are also starting to dry up. But if dry conditions continue, 2016-2017 will almost certainly see Brazil’s second largest city fall into a crisis similar to that of Sao Paulo. And [Sao Paulo] is not alone. Brazil’s second largest city, Rio de Janeiro, is also facing water troubles, as are other coastal areas. It’s been an enormous shock to Brazilians, who are used to their country being called “the Saudi Arabia of Water…” But not anymore. Satellite data from NASA shows that the drought in much of southeast Brazil — also home to the region’s breadbasket — is much worse than originally believed. If these droughts continue, they will threaten to collapse the cities of eastern Brazil. They will put a strain on electricity supplies, on commercial activity, and on practically every aspect of city life — which is largely dependent upon access to water. In eastern Brazil, more than 30 million people now face the threat of this climate change induced destabilization. 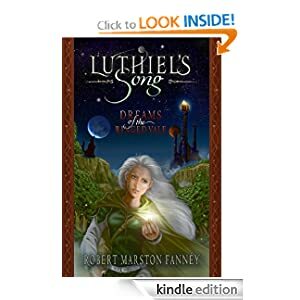 But what’s worse is the fact that the ongoing burning and drought in the Amazon to the north practically ensures that the flying rivers will continue to wilt, that the droughts in the southeast will grow to become city-killers. Is Brazil Nearly Out of Water? Humankind’s Last Days Below 400 PPM CO2? By mid November of 2015, atmospheric carbon dioxide levels as measured at the Mauna Loa Observatory had again risen above 400 parts per million. Over the past two weeks, these levels maintained. And even though we may see a few days during which CO2 levels drop below that key threshold during late November and, perhaps, early December, those days could well be the last. The last days of below 400 parts per million CO2 may then be behind us. It’s likely that none of us now living will ever see such ‘low’ levels of this critical atmospheric greenhouse gas. And it’s possible that humankind itself will never again see a day in which CO2 levels fall into this range (please see Is This the Last Year Below 400 PPM CO2?). Dr. Ralph Keeling, in a blog over at the Keeling Curve site back in October clearly explained why 2015 may be the last year with monthly readings below 400 ppm CO2. In short, the added global heat from El Nino tends to squeeze more carbon out of the Earth’s lands and oceans. As a result, strong El Nino years have tended to show higher rates of atmospheric CO2 increase when these Earth System feedbacks are added in to the carbon coming from an insane global rate of fossil fuel burning. The last time a strong El Nino emerged during 1998, global CO2 levels rose by 3.7 parts per million during a single year. Since the rate of human fossil fuel burning has substantially increased over the 1998 to 2015 period and as the current El Nino is peaking at or above 1997-1998 intensities, it’s possible that the annual increase in CO2 could match or exceed that seen during 1998. We could see annual CO2 levels rise by 3.5, 3.75, or even 4 parts per million or more during the 2015 to 2016 interval. If CO2 levels rise so rapidly, 2015 will be the last year seeing any significant period below 400 ppm. Unfortunately, due to CO2’s long residence time in the atmosphere and also due to the fact that the added heat provided by that CO2 tends to generate long-lasting carbon feedbacks from the global environment, it is likely that this period of above 400 parts per million CO2 will last for a very, very long time. With a single molecule of CO2 having a warming impact period of at least 500 years so long as the oceans can eventually draw the net carbon increase down (a dubious proposition in the context of warming world), even if human fossil fuel emissions halted after just one or two additional decades, it would mean that above 400 parts per million CO2 levels last for centuries to come. On the other hand, if human fossil fuel burning and related carbon emissions continue even into the middle of this Century, then it’s possible that such heightened CO2 levels could last for millennia — possibly outlasting the human race itself. In such an event, the only hope for bringing CO2 back to levels below 400 parts per million is a very significant change in land use, farming, and technological practices to directly draw carbon out of the atmosphere. Atmospheric CO2 levels remaining at 400 parts per million for any significant period will push the Earth climate to warm by between 2 and 3 degrees Celsius. It will push for sea levels to rise by at least 75 feet. In other words, a world at 400 parts per million is a world radically changed. A world that human beings have never seen before. And as a cautionary note, the total forcing from all greenhouse gasses currently emitted by humans is now in the range of 485 parts per million of CO2 equivalent. A level well beyond the current 400 parts per million threshold and one that likely equates to around 4 degrees Celsius worth of long term warming. These are the stark consequences of fossil fuel burning. A burning, that if it continues, will almost certainly ensure that human beings living after 2015 or 2016 never again see CO2 levels below 400 parts per million. Is This the Last Year Below 400? There’s no rational reason at all to doubt that the globe is heating up. In fact, those born after 1985 haven’t experienced a single year of average temperatures. For them, even the brief two year period following Pinatubo’s massive injection of shading aerosols into the stratosphere was but a minor less-hot spell. One that failed to, for even a short while, return the world to more normal temperatures. Those living in this time of increasingly rarefied and weirded weather may as well be named, not by the colloquially meaningless terms generations Y and Z, but by the more contextually appropriate monikers — generation climate destabilization (Y) and generation climate chaos (Z). It’s worth noting that such names may seem unfair due to the fact that neither generation made the choices that would force them to experience such severe disruptions. No, instead they were the unwitting victims of choices made by the many previous generations who failed or neglected to rein in the power of the fossil fuel giants before climate catastrophes could begin to take hold. These new generations, instead, are the unfortunate ones who would inhabit the years when humankind left any climate context it had ever experienced — at least since the dawn of human civilization itself, and possibly since the birth of humankind altogether. The first of many generations we have doomed to face the long, bad years of a worsening climate disruption. This year, the year of 2015, is shaping up to be the most recent worst of a hot bunch. And October of this year is looking like a horrendous outlier hot month. A month testing the new extreme range of record heat that continues to build throughout the global climate system. A ramping warmth we have no chance of stopping at all unless we also swiftly halt the burning of fossil fuels. As I type these words that represent my 799th plea for the global community to act decisively on climate change, to turn away from the wretched industrial interests that are dragging increasingly large chunks of our world into a climate chaos of ever-worsening scope, the temperature where I live in Gaithersburg Maryland is a balmy 66 degrees Fahrenheit. That’s about 8 degrees hotter than the typical high temperature for today. Overall, the month of November will come in, if forecasts are correct, between 1 and 2 degrees C hotter than average for my location. This may not seem like much. But since the region has been sitting in a trough zone — with storms and frontal systems tending to drive in from the north and bring in Canadian and Arctic air, these continuous high temperature departures seem rather odd. Especially when one considers them from the meteorological and climate perspective. As we look at the global temperature anomaly map for today, we can see that most places around the globe are experiencing above average heat for even the hotter than normal 1979 to 2000 base period. Sections of Asia, Alaska, East Greenland and parts of the Southern Ocean are the noted exceptions. But when one considers that this snapshot is in the context of a 1979-2000 average that, as we can seen in the NOAA graph (top of this post) was much hotter than normal, we begin to realize that even most of the white and light blue sections should be showing up in various shades of orange. And this is especially true when we consider how much the world has warmed up since the late 1800s. Most ominous, however, is the massive bloom of heat over the Arctic spiking into the range of 36 degrees Fahrenheit (20 degrees Celsius) above average. This heat spike, directly over a section of the Arctic that some have noted could become a hotbed of oceanic and permafrost methane and CO2 feedback to human heating of the globe, is yet one more plainly visible burst of what is called polar amplification. A kind of tilting of heat toward the poles as the Earth warms up. An unevenly rapid heating of the regions that contain most of the world’s ice capable of raising sea levels. An ominous warming of a zone that contains a great portion of the world’s vast carbon stores. Extreme warming where we want to see it least. And it is all happening in a time that is certainly the hottest in the 125-135 year global climate records of the major reporting agencies. A period likely hotter than during any time in the Holocene. A period potentially hotter than at any time during the last 110,000 years. For according to Japan’s Meteorological Agency, October of 2015 came in as the hottest month ever recorded in all of its 125 year global climate record. The departure at +0.53 C above the 1981-2000 baseline, +0.85 C above the 20th Century average, and about +1.25 C above temperatures during the late 1890s is far into a range that would well be considered more normal for the Eemian interglacial occurring between 110,000 and 130,000 years ago than for any normal time during the current interglacial. It is also +0.02 C above September of 2015’s new record high set just last month. A continuation of this year’s trend of extreme warming in Japan’s global monitor. There’s quite a lot of heat in this graph. For what we see is a temperature range that’s about 0.75 C away from the UN’s so called ‘safe limit’ of 2 C total warming above 1880s values. And what we also see is that the last monster El Nino year of 1997-1998 is increasingly being left in the dust. In fact, 1997 doesn’t show up as any of the top 5 record hot years for October. According to JMA, the new top five record holders are now: 1st. 2015 (+0.53°C), 2nd. 2014 (+0.34°C), 3rd. 2003 (+0.24°C), 4th. 2006 (+0.23°C), and 5th. 2012 (+0.22°C). 1997 now holds the place of sixth hottest on record for October at +0.21 C above the 1981-2000 benchmark or around 0.32 C behind October of 2015. A widening gap that plainly shows that though strong El Ninos have the climatological force to drive new records, the underlying driver pushing the entire record inexorably higher is an unimaginable pace of burning fossils fuels pushing an equally unprecedented rate of global greenhouse gas accumulation. Pushing us to higher and higher extreme temperature thresholds that are straining the climate and geophysical Earth Systems with which we are currently accustomed to the breaking point. North, south, east, and west. At all points of the compass, the entire outer edge of the Greenland Ice Sheet is flooding into the oceans with increasing velocity. For NASA it’s the absolute worst kind of OMG realization. For the world’s warming oceans and airs are clearly worsening an already visible Greenland melt. And a new report just out of the University of California (Irvine) today shows that a massive glacier containing enough water to raise seas by more than 1.6 feet (0.5 meters) is the most recent of a growing number of these ice giants to initiate a swift rush into the ocean. Called Zachariæ Isstrøm, this enormous glacier dominates a large section of the northeast-facing shores of Greenland. The glacier, hundreds of feet tall and plunging hundreds more feet below the ocean surface, like many in our world, now faces the combined threat of warming airs and waters. A double insult that, according to researchers, over the past 15 years has led to first destabilization and then a rapid seaward acceleration. Warmer air and ocean temperatures have caused the glacier to detach from a stabilizing sill and retreat rapidly along a downward-sloping, marine-based bed… After 8 years of decay of its ice shelf, Zachariæ Isstrøm, a major glacier of northeast Greenland that holds a 0.5-meter sea-level rise equivalent, entered a phase of accelerated retreat in fall 2012. The acceleration rate of its ice velocity tripled, melting of its residual ice shelf and thinning of its grounded portion doubled, and calving is now occurring at its grounding line. In total, more than 4.5 billion tons of ice is now estimated to be flooding out from this glacier and into the ocean each year. That’s a mountain of ice about 4.5 cubic kilometers in size hitting the world’s waters from just this single glacier every time the Earth completes one circuit around the sun. In other words, Greenland just opened a new floodgate to the North Atlantic. Researchers publishing the study estimate that it will take between 20 and 30 years for the glacier to melt back to an underwater ridge line that should somewhat slow its melt. But the real news here is that a human-forced warming of the globe has set a monstrous pile of ice, once thought stable, into a motion that will result in yet more global sea level rise. Greenland is the last major remaining bastion of glacial ice in the Northern Hemisphere. Surrounded on all sides by warming airs and waters, it is the most vulnerable large ice mass to the forces set in play by a human warming of the global environment. In total, Greenland holds enough ice to raise seas by 23 feet. And, in the geological past, just 1.5 to 2.5 degrees Celsius worth of temperature increase above Holocene averages was enough to melt much or all of it. Currently, human warming by Greenhouse gasses has pushed global average surface temperatures into a range about 1 degree Celsius hotter than the 1880s. It’s a temperature running into ranges that are now comparable with the Eemian — the interglacial period that occurred between 115,000 to 130,000 years ago. A period when oceans were about 13 to 20 feet higher than they are today. But perhaps even more concerning is the fact that global greenhouse gas concentrations in the range of 400 ppm CO2 and 485 ppm CO2e are enough now to warm the Earth by 2 to 4 degrees Celsius long-term. It’s a heat forcing that would likely spell the end for Greenland’s ice if it remained in place for any significant period. A heat forcing more comparable with Pliocene and Miocene ranges when the world’s glaciers were even more greatly reduced and seas were 30 to 130+ feet higher than they are presently. Unfortunately, what the building global heat and currently very high greenhouse gas heat forcing means is that the Earth System will continue to accumulate warmth for some time. And as this happens more and more glaciers — both in Greenland and Antarctica — are going to destabilize, speed up, and contribute increasing melt volumes to the world ocean. Eliminating greenhouse gas emissions at this time and pushing to return to atmospheric levels in ranges below 350 ppm CO2 is therefore absolutely necessary if we are to have much hope of preventing ever-worsening rates of glacier destabilization and related contributions to sea level rise. We may have never seen heat like this before in the Equatorial Pacific. And as for atmospheric temperatures, 2015 is already locking in to shatter all-time global records set just last year. But despite a Monster El Nino raging across the world’s mid-section, despite a strengthening Jet Stream and a roaring storm track, the greatest warm atmospheric temperature anomalies are still centering in on the Arctic. In other words, it appears that human-forced warming has taken so much cold out of the poles that there isn’t much of it left for the strengthening circumpolar winds to lock in. All you have to do is look at the great red scar spanning more than half of the Equatorial Pacific Ocean on the upper Climate Reanalyzer map to tell it’s a Monster El Nino year. A zone that in this measure is now showing an amazing +1.26 C sea surface temperature anomaly above the already hotter than normal 1979-to-2000 average. A region where weekly average sea surface temperatures in NOAA’s El Nino monitor are now tied with the record 1997 event. There, according to NOAA, temperatures last week hit 2.8 degrees Celsius above average along an Equatorial band stretching from 120 to 180 West Longitude. As a result, the Equatorial atmosphere continued to heat up, continued to contribute to global temperatures that for 2015 will be the hottest ever recorded over the past 135 years. Considering such a massive amount of heat boiling up off this key Equatorial zone, we’d tend to think that this region would also show atmospheric temperatures that are much warmer than average. And it does. But strangely, perhaps ominously, the highest average atmospheric temperature departures do not reside over these record hot waters. They instead show up where we might least expect them during a record El Nino year — at or near the poles. For both within the Arctic and Antarctic — it’s still much warmer than normal. In the Antarctic, a zone from 70 to 90 South features air temperatures that are between 10 and 20 degrees Celsius hotter than average. In the northern polar zone an even warmer region ranging from 14 to 20+ degrees Celsius above average stretches over the fractured and greatly thinned sea ice along an arc just north of Svalbard and on into Russian Siberia. Overall, the Arctic as a whole shows an extraordinary +1.27 C positive anomaly. The Antarctic is at +0.90 C. And the tropics, which includes our massive El Nino still lags at an admittedly impressive +0.64 C above the already hotter than normal 1979 to 2000 average. Why is this temperature anomaly pattern so darn weird? It all has to do with atmospheric physics. During times of strong El Ninos, the temperature difference between the poles and the Equator tends to increase as the Equator warms. This, in turn, strengthens the Jet Stream. A strong Jet Stream, for its part, tends to keep cold air locked away at the poles. So, ironically, as the Equator warms with El Nino, the poles have a tendency to cool off a bit. So far, for the Fall of 2015, this isn’t really what we’ve seen. Sure, the Equator has warmed up quite a bit. Concordantly, the Jet Stream appears to have strengthened somewhat. We still have a big ridge that tends to keep forming over the ridiculously and persistently warm Northeastern Pacific, but it’s not stretching all the way into the Arctic like it did last year. Meanwhile, Jet Stream velocities and related storm track intensities are hitting rather high values. Arctic Oscillation has also recently hit extremely high positive values. A strongly positive Arctic Oscillation traditionally tends to result in cold air remaining locked away in the Arctic, but considering the temperature anomaly maps, Arctic cold hasn’t really been all that cold of late. Is Human Forced Warming Meddling with the El Nino-Polar Interplay? So why are the poles still tending to remain very warm even as the Equator warms? The first answer is that high greenhouse gas concentrations from human fossil fuel emissions tend to preferentially warm these regions. This is due to the fact that greenhouse gasses have their greatest warming impact during times of darkness or when the sun is at a low angle. Compounding this impact for the Arctic is the fact that a high overburden of both CO2 and methane hangs over the region — possibly due to heightening emissions from thawing permafrost, increasing forest fires, and increasing ocean-to-atmosphere carbon fluxes. A second answer is that the overall atmospheric impacts of the current Monster El Nino may not have come into full swing yet. We do still have a very warm pool of water in the Northeastern Pacific and this warm pool has tended to somewhat resist the polar wind field intensifying effects of a strong El Nino. This warm pool has also given the current El Nino a springboard upon which to further intensify. So the push and pull between these two hot water zones may not be over yet. All in all, this pattern points to more and more weather weirding on tap for this Winter. Jet Streams and storm tracks may run further to the north as a result — especially in the areas of the Pacific Northwest and in Northern Europe. Troughs may also tend to dig a bit deeper along the Central and Eastern US and on out into the North Atlantic. This is not exactly the forecast we would expect with such a strongly positive Arctic Oscillation. But the related cool air pool has retreated so far north as to, at least for now, not fully result in a strong El Nino + strong Arctic Oscillation related weather pattern. Instead, for now, what we are seeing is a weird kind of hybrid weather pattern that appears to be incorporating the influences of a Monster El Nino, of ongoing polar amplification, of the cool pool in the North Atlantic, of the abnormally warm Barents Sea, and of the Hot Blob still firmly entrenched in the Northeastern Pacific. The American people have every right to be suspicious when NOAA alters data to get the politically correct results they want and then refuses to reveal how those decisions were made. NOAA needs to come clean about why they altered the data to get the results they needed to advance this administration’s extreme climate change agenda. The agency has yet to identify any legal basis for withholding these documents. The Committee intends to use all tools at its disposal to undertake its Constitutionally-mandated oversight responsibilities. Representative Smith and his committee, in a now typical tactic among those serving fossil fuel corporate interests over the past two decades, has basically decided to conduct a witch hunt. He has no reason to suspect that NOAA is manipulating data. He has merely accused NOAA of such a manipulation by claiming that NOAA temperature data revisions are somehow a reason to suspect foul play. 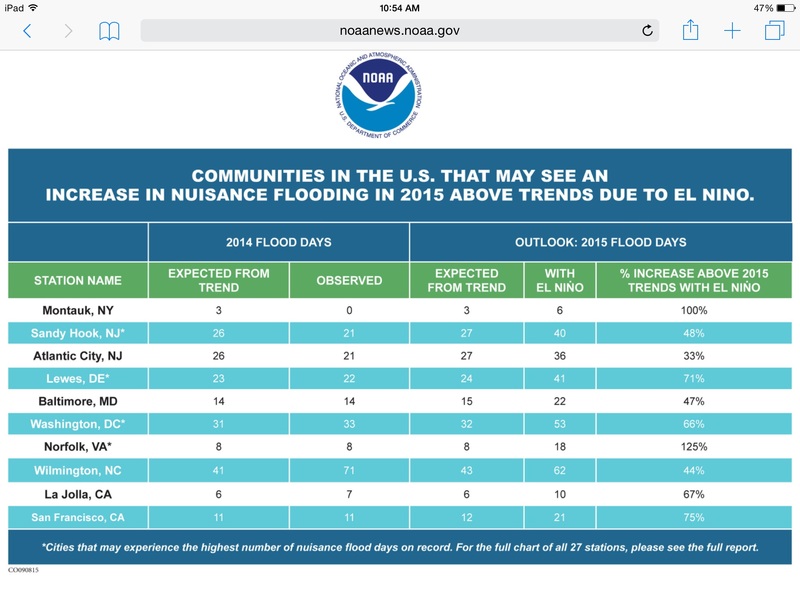 This despite the fact that NOAA often revises data based on new information as it becomes available. Despite the fact that the data is publicly available and has been published for peer review in the broader scientific community. Data that if it had been inconsistent, manipulated, or baseless, would have been revealed as such during the peer review process. NOAA’s updates and data refinement are not fraud. They are simple due dillegence. But despite the fact that both the methods and data are publicly available, Representative Smith, his committee, and the members of the fossil fuel media that support them continue to generate trumped up accusations. This is likely due to the fact that the NOAA revision came up warmer than their previous data set by a margin of 0.06 degrees Celsius. A margin that isn’t really too significant when it comes to overall warming. But it is significant when you look at the most recent years in the climate graph following the monster El Nino year of 1998. The section that climate change deniers claim represents a pause in global warming. With the revision, the new span of the graph really doesn’t look like a pause anymore — much to the grief and outrage of climate change deniers everywhere. As a part of their attack on NOAA for the outrage of making their fake pause look even less like a pause, the Republican Committee (which may as well be named the Fossil Fuel Committee for the sake of accuracy and consistency) continued to single out the US National Oceanic and Atmospheric Administration as the object of its attacks. This action despite the fact that the whole of climate science basically confirms NOAA’s data even as any rational or informed analysis clearly finds no pause in the rate of atmospheric warming. Naming individual scientists, particularly scientists who in the words of Andrew Rosenburg had the “temerity to express … views that fossil fuel companies should be held accountable for climate change,” the committee had the audacity to falsely imply, yet again, that global warming isn’t actually happening or that it stopped and that NOAA is somehow at fault for reporting the fact that, yes, it is happening and, no, it didn’t stop. It was, sadly, a scene that could have come straight out of Animal Farm when the Republican House Committee then made the ridiculous and unreasonable demand that NOAA surrender “All Internal Communications” for its review. Unfortunately, the top scientists of the world have been subjected to this ridiculous and baseless bullying time and time again. A prime example was the manufactured Climategate scandal in which IPCC scientist emails had sentences taken out of context by members of the conservative media in an effort to claim that global warming science was a fraud. The scientists, after years of fake controversy and doubt-spreading, have since been vindicated time and time again. But not after being subjected to the most heinous bullying to include constant calls for internal records, court appearances, endless attacks and demonizing by the corporate media, and even the receipt of death threats to themselves and members of their families. I cannot help but note that your requests in this case echo the tactics of notable climate change skeptics, who frequently submit similar FOIA requests of climate scientists in both the federal government and in state universities. One of the most publicized occasions of harassment occurred when then-Virginia Attorney General Ken Cuccinelli and the American Tradition Institute (ATI) sought email communications of former University of Virginia climate scientist Michael Mann. Conservative media outlets are wrongly claiming that the National Oceanic and Atmospheric Administration (NOAA) is hiding data related to a recent study that challenged the so-called “pause” in global warming, and echoing Republican House Science Committee Chairman Lamar Smith’s baseless accusation that NOAA manipulated temperature records to show a warming trend. In reality, the NOAA study’s data is publicly available online, and NOAA routinely makes adjustments to historical temperature records that are peer-reviewed and necessary to account for changes to measuring instruments and other factors. Every Major Climate Monitor in the World Shows the Earth is Warming — So Why Are Republicans Aiming Their Fake Outrage at NOAA? It’s not like the NOAA data is new or unique. Sure, NOAA shows the world is warming. But so does everyone else in the global scientific community. 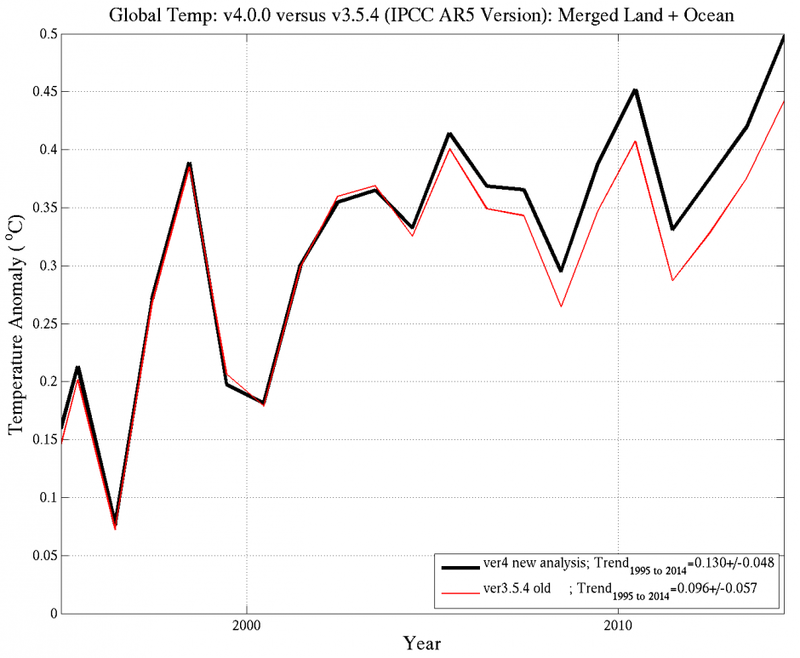 NASA GISS shows the world is warming. 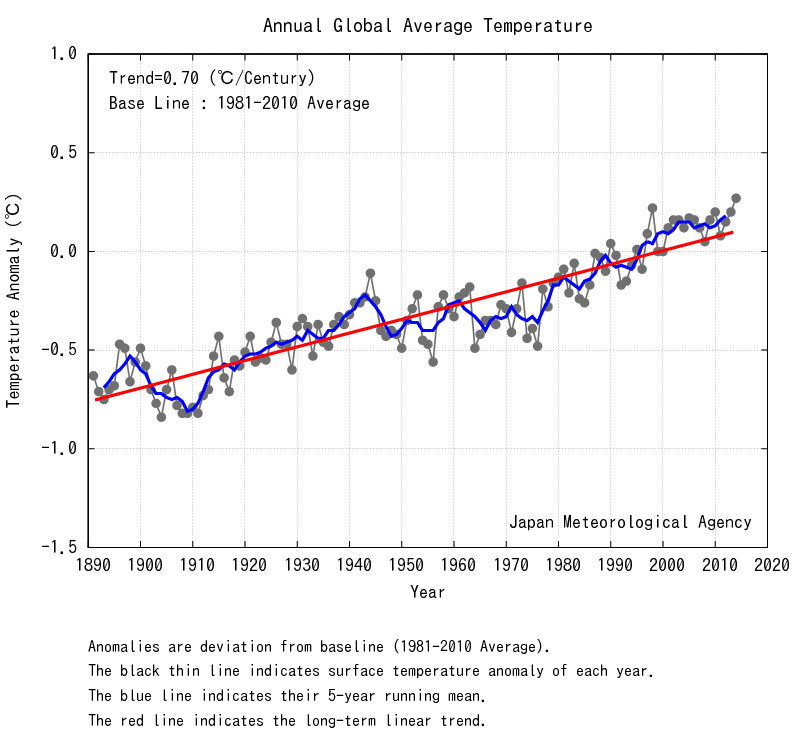 Japan’s Meteorological Agency — warming. The Hadley Center — warming. NCAR — warming. The UN’s IPCC — warming. Every sensory system, every monitor that tracks global temperatures all shows the same — warming. And all this warming backed up by reams and reams of scientific evidence. The Himalayas have lost 20 percent of their ice as 90 percent of the glaciers around the world are melting. Greenland is melting, and at an ever more rapid rate. The North Atlantic Overturning Circulation is weakening. The Oceans are becoming more stratified. The wetlands of the world from the Arctic to the Equator are belching out more methane (a feedback that comes about with warming). And everywhere temperature records are falling, supplanted by new records that last for a few years or maybe a decade before they fall again. Wildfires are increasing in both intensity and frequency. The severity of droughts and rainfall events are increasing. And we, as a global community, are now treated to 100 or even 1,000 year floods, hurricanes, droughts and fires on an annual basis. 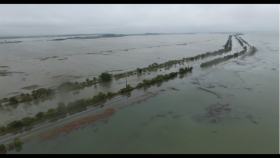 Over the past few weeks residents of Texas and South Carolina alike were subject to freakish flood events of the kind that we’ve really never seen before. The intensity of rainfall in South Carolina was so horrific that residents now report that they suffer from Post Traumatic Stress disorder. Scientists warned us that rainfall events would tend to become more intense as human-forced warming loaded up the atmosphere with more and more moisture. Now, around the world, it’s happening. And last of all — sea levels are rising. Rising more rapidly than at any time in the Holocene. Rising because they are warming up and because the world’s glaciers are melting. This mountain of scientific proof that global warming is indeed real, worsening, and ongoing is probably greater than any other proof for any other science in existence. And yet the Republican House Committee has the temerity to single out NOAA as some kind of sacrificial offering to their demonic fossil fuel masters. And to imply what is basically the greatest fraud ever perpetrated on the American public — that climate change somehow isn’t real and that NOAA, somehow, is hiding something in its email that proves that. What a ridiculous pile of festering nonsense! The real reason Republicans are conducting a witch hunt against the faithful public servants at NOAA is due to the fact that the corporations who have supported their election campaigns simply cannot continue to exist as they are now in a world that responds to climate change. They would be forced to switch to new energy sources or to learn how to effectively capture the carbon emitted by their operations. Doing this would cost them money and put them in a position where they no longer dominate markets. Where consumers start to have more and more choice regarding what forms of energy they use. Having enjoyed market dominance for more than a Century, these entities are not at all enamored with the prospect of having to compete or to allow energy customers a broader range of choices or freedoms. They have therefore made the cynical and ridiculously amoral decision to attempt to deceive the public. To generate doubt about the veracity of climate science reports. And to use this doubt to block government policies that address the issue of human-forced climate change. Since a failure by government to enact effective climate policies will result in a growing risk of inflicting damage to an ever larger group of the US and global populace, those companies, media figures, and politicians involved in this effort are complicit in what amounts to a vast campaign to inflict harm on individuals, communities, and nations. It does not matter if their original intent is simply to preserve the profits of powerful fossil fuel corporations, the net result is the same — the inflicting of harm on the public. House Republicans and the fossil fuel companies they serve are therefore complicit in a heinous act. And their actions over the past month in their leveling of trumped up charges against NOAA, is a stark proof for what they’re doing — committing themselves to inflicting climate atrocities upon the public for the benefit of fossil fuel companies which they represent. One thousand six hundred and eighteen (1618) — that’s how many months we have in all of the global temperature record starting in 1880. 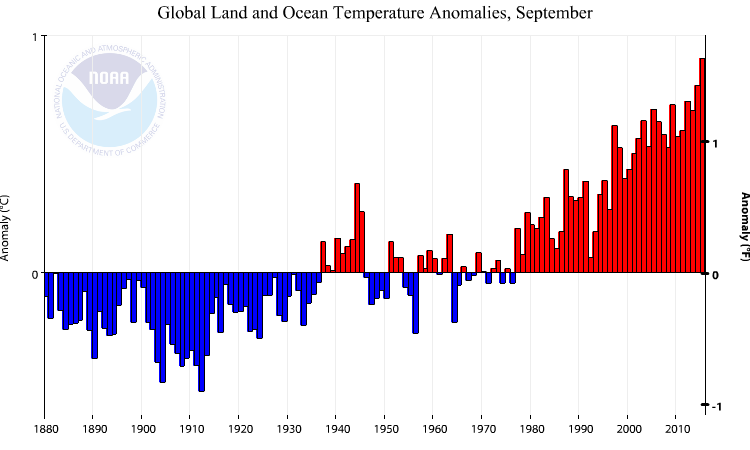 And early indications are that October of 2015 was possibly the hottest month out of them all. A record hot month, during a record hot year, in a record hot world. A new extreme temperature record that may just stand for one or two months as temperatures are likely to continue to climb coordinate with the peak of a Monster El Nino in the Pacific. As of today’s NOAA El Nino report, sea surface temperatures in the key Nino 3.4 zone had hit a range of 2.7 degrees Celsius above the climatological average. These temperatures are about equal to maximum weekly values achieved during the 1997 El Nino — which in many respects was considered to be the strongest on record. This most recent heat spike puts the 2015 El Nino within striking distance of being the most intense El Nino ever witnessed. As with most El Ninos, the result is that excess ocean heat is backing up into the atmosphere at a heightened rate — pushing global temperatures higher. In a normal year, on a normal Holocene Earth, this would have temporarily spiked atmospheric temperatures. But this year, the record El Nino is being fueled by oceans that are taking in an unprecedented amount of heat. Heat re-radiated by an atmosphere loaded with greenhouse gasses in the range of 400 ppm CO2 and 485 ppm CO2e. And now the oceans, being the greatest store of heat energy on Earth and sucking up more than 90 percent of the added heat due to human forced warming, are returning the favor. As a result, the world is now experiencing some of the hottest temperatures ever seen. The year of 2014, when the Pacific began to settle into the current El Nino trend, was the hottest on record. But that new global high temperature mark didn’t last long. 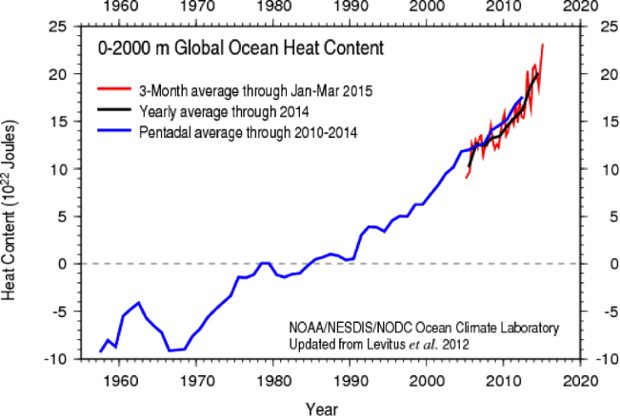 For as that human-accumulated ocean heat continued to bleed back into the atmosphere, 2015 set a path to supplant 2014 as the new record holder. Global temperatures were raging to new heights. But the worst was still to come. With a record El Nino starting to hit its peak in a hothouse world what we’re in for over the next few months is likely to be something, yet again, unprecedented. And already, early NCAR data reanalysis points toward October of 2015 being the hottest month ever recorded. According to early reports from Nick Stokes (a retired CSIRO scientist) at the climate blog Moyhu, NCAR temperature reanalysis has put October at the hottest in the global climate record at +0.567 C above the 1994 to 2013 average. This shoves October into the range of +1.18 C above the 1951 to 1980 average and about +1.38 C above 1880s averages (in the NCAR context). Since GISS has tended to range a bit cooler than the NCAR figures this Fall, Nick estimates LOTI temperatures from the NASA analysis are likely to hit a range of +1 C above the NASA baseline or about +1.2 to +1.3 C above 1880s values in that measure. If these NCAR comparisons bear out, they would make October of 2015 the hottest month in all of the global climate record in both the NCAR and the GISS measures. Notably, Nick Stokes NCAR figure shows a substantial +0.15 C departure above the previous record during January of 2007. A NASA GISS figure of +1 C would also beat out January of 2007 as the hottest month ever in the global climate record, but by a somewhat smaller +0.03 C margin. Even so, as a record or near record El Nino continues to hit maximum warmth in the Pacific, it is likely that more monthly global temperature records are in the pipe. 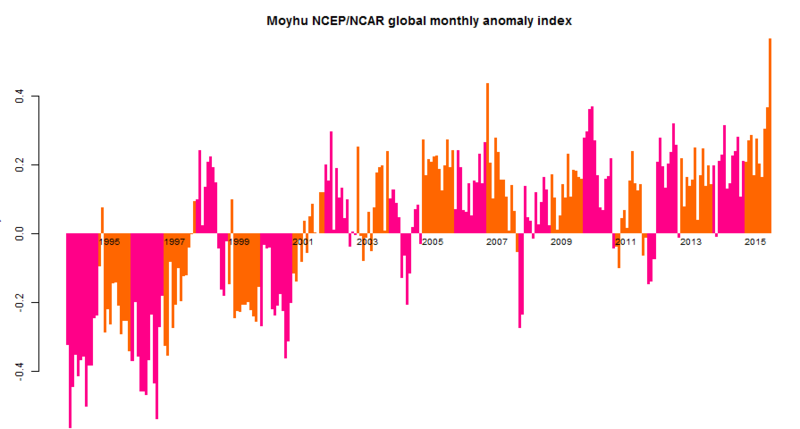 Peak surface global temperatures typically occur during the months after El Nino hits top intensity. So it is both possible and likely that November, December, January, February and even March could continue to explore new maximum monthly temperature thresholds. Meanwhile, the inertia of all that extra ocean heat bleeding back into the atmosphere presents a decent chance that 2016 could even beat out 2015 as the new yearly record holder. It all really depends on if El Nino spikes still higher and if that peak extends significantly into next year. In any case, the human hothouse is again re-writing the record books.